Music City Skydiving opening weekend! Music City Skydiving is gearing up for their season opening weekend April 1st and 2nd. Middle Tennessee State University’s skydiving clu b is sponsoring a tandem skydiving trip that weekend along with all of our great fun jumpers coming back. 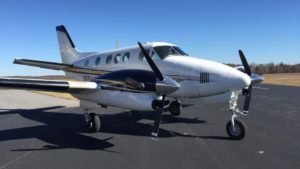 And of course the Super King Air fresh from inspections will be cranking out the 8 minute loads to 14,000 feet! This year as always we expect to have helicopter jumps on Memorial Day, night jumps sometime in summer, and more. We look forward to everyone coming back to experience the view of Kentucky Lake and the amazing skies over Waverly. Nashville, Tennessee's premiere skydiving facility is Music City Skydiving, now in their 3rd year of business.